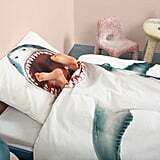 There's just something so magical — and downright terrifying — about our favorite apex predator known as the shark. 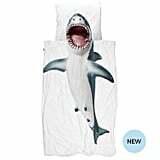 Although our kids could veg out on the couch and watch hours upon hours of Shark Week on the television, we're not sure we want to get too close to them — we'd love to keep all of our limbs. 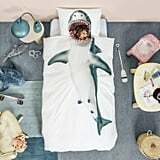 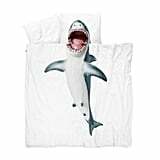 We'd be willing to make a sacrifice or two, though, if it means we get to snuggle up in this brand-new Shark Duvet Cover Set ($119 and up) by company Snurk, which means "snore" in Dutch. 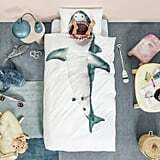 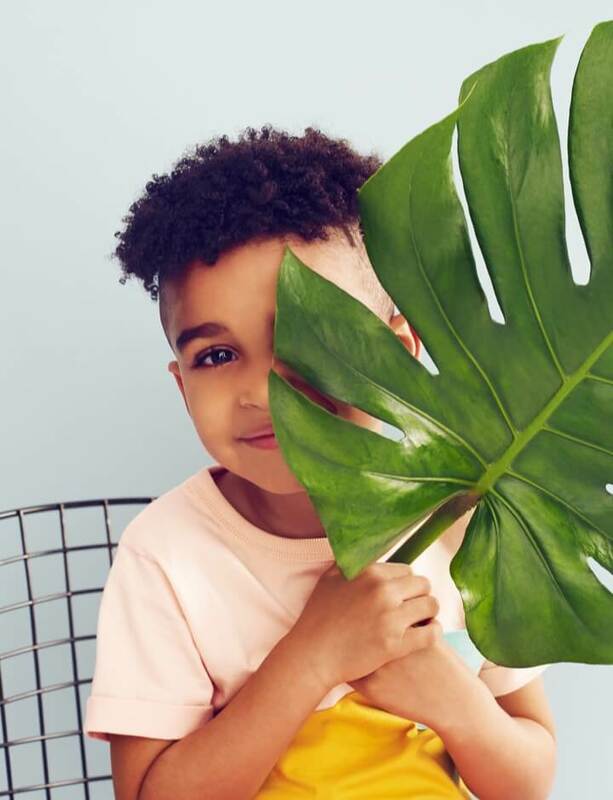 Read on to get a look at the matching duvet and pillowcase, which makes it appear like your little one is getting chomped on! 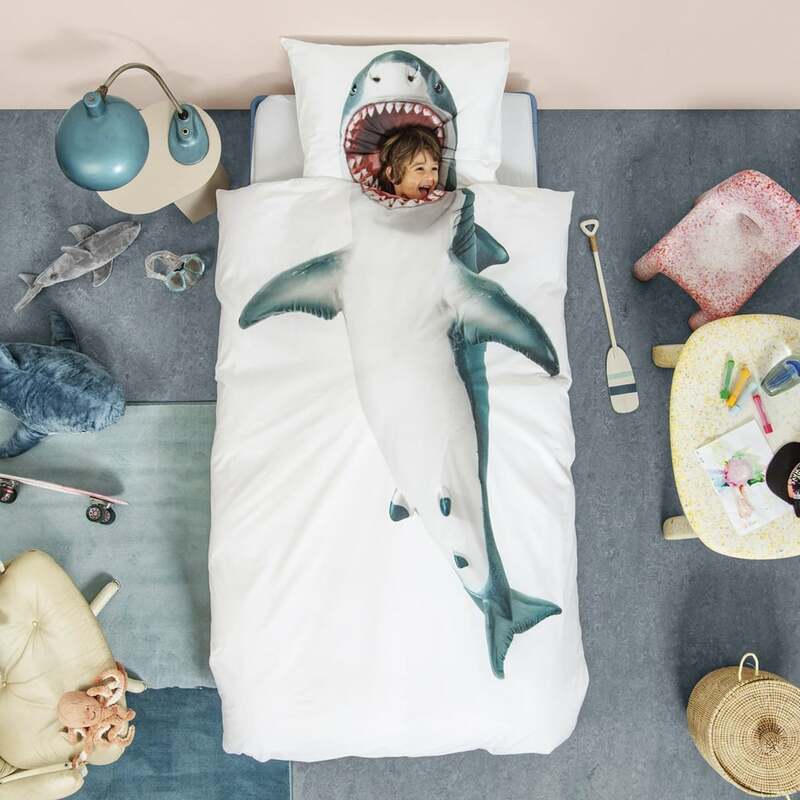 It&apos;s Not Just a Birthday Party — It&apos;s a Shark Attack!